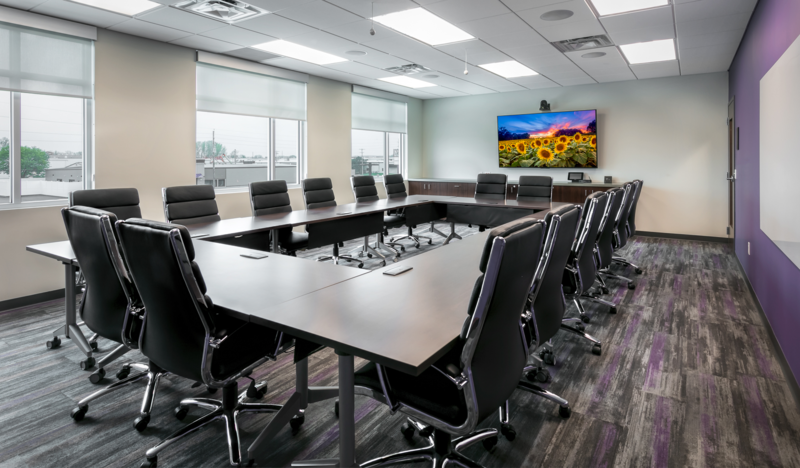 Reflect an identity that invites those of their community that are not K-State University affiliated to become a member. La Macchia Group addressed these goals by crafting a logo mark that blended the new color palette and created a new tagline that extends the genuine message of inclusivity - "all are welcome here." The geometric shape of the new logo takes cues from the block design of the old logo, yet creates the feeling of movement. The continuous loop signifies progress and completion. The new tagline - "Truly Local. Truly Yours." was ultimately chosen as this statement best reflected the values of the community, a sense of inclusivity and member ownership. 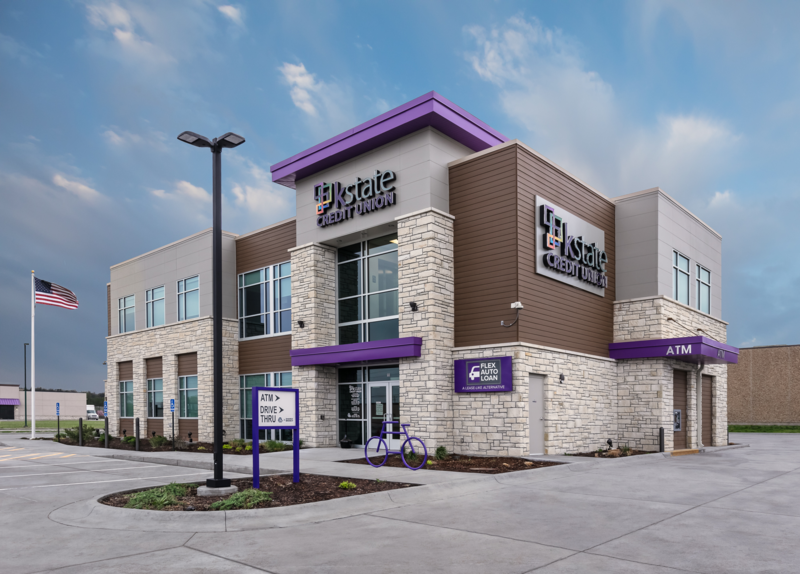 The new brand identity was then integrated into the design and build of kstate Credit Union's new main office. 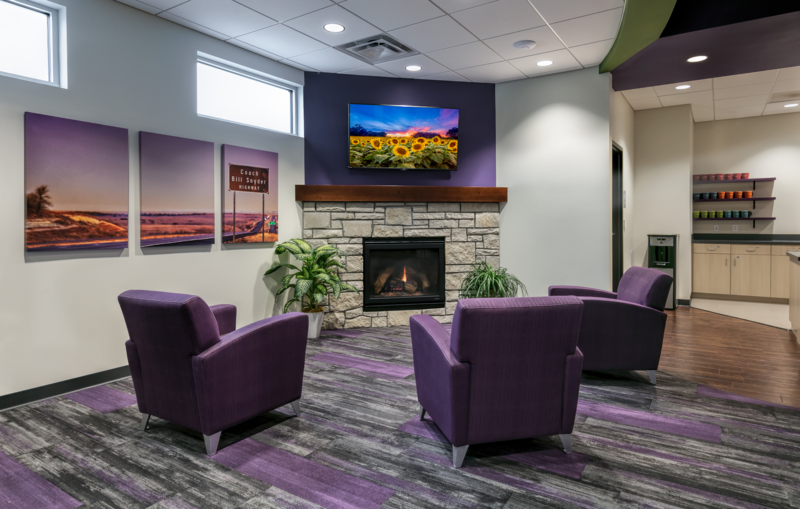 The building was given a modern design using the iconic K-State 'Purple' as a main accent feature. Within the space, teller pods were designed to create a retail experience and provide operational efficiencies. 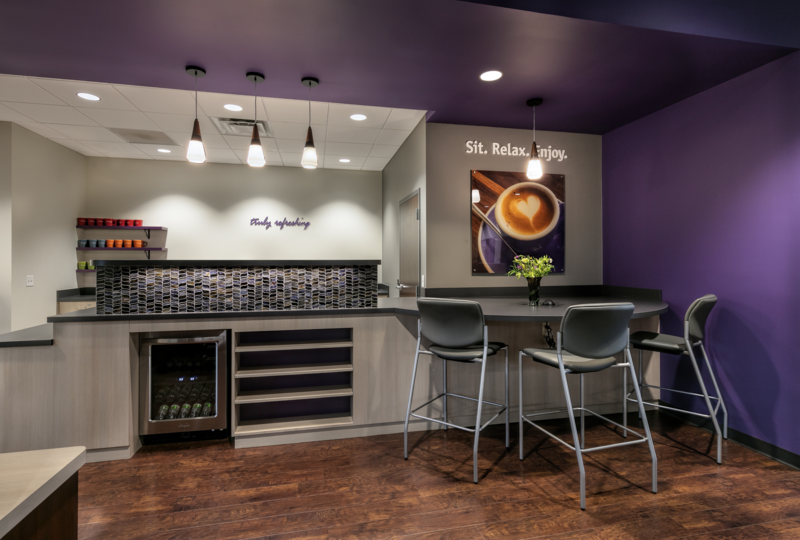 Members now have access to a Cafe, Member Lounge, Kids Zone, and a Tech Bar. 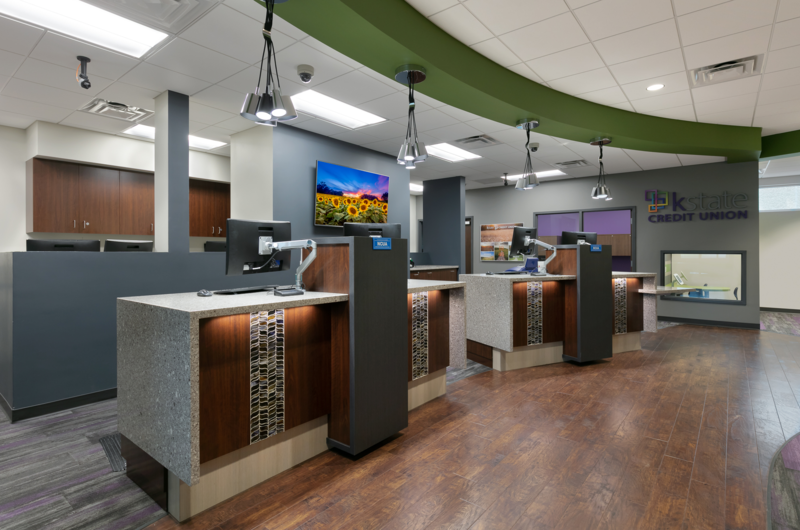 This branded environment emulates the goals of the new logo design and the founding mission of the credit union.